The FC Barcelona women’s team have lost 2-0 away to Santa Teresa in a game that they looked to be handling well. But rather than respond to going a goal down, they instead went further behind and that brings to an end a positive spell for the team. 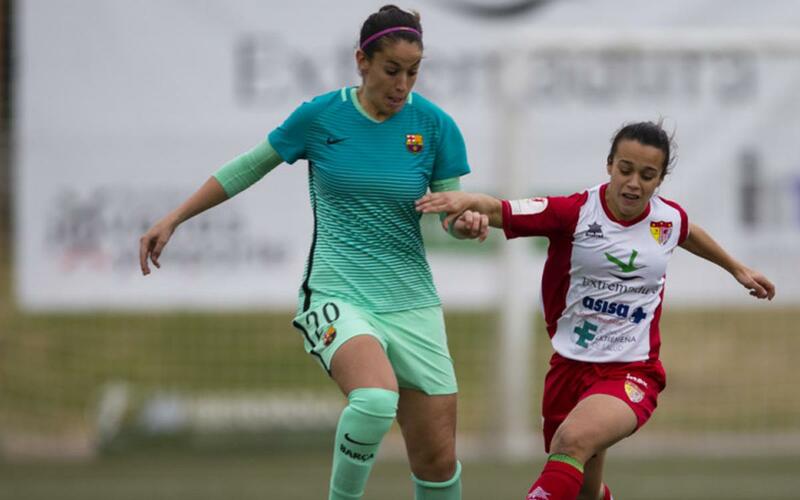 Andressa Alves and Ruth Garcia were active early on as Barça dominated the midfield and played mature, effective football. Santa Teresa preferred to sit back and wait for chances on the counter and also used considerable aggression to win their way into some dangerous positions as the game progressed. Madi Torre eventually got the home side leading after 27 minutes, Barça didn’t respond and found themselves struggling more and more to deal with Santa Teresa’s excellent ploys from set pieces. Coach Xavi Llorens opted to bolster his attack but the substitutions failed to produce dividends. Koko had the best chance after 77 minutes but home keeper Emmeline produced a stunning save. Try as they did, the equaliser was resisting the Catalans. And against the run of the second half play Santa Teresa then secured the three points with a late goal from Mari Angeles. There will be some long faces on the trip home from Extremadura.